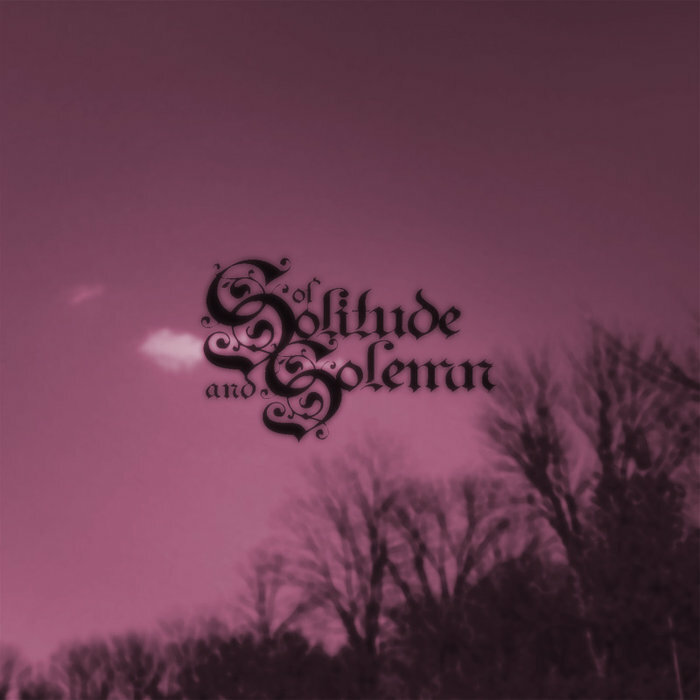 Of Solitude And Solemn are a 1 man band from the United Kingdom that plays a symphonic mixture of funeral doom metal, shoegaze and post rock and this is a review of his self released and self titled 2013 ep. Acoustic guitar playing starts off the ep which uses a mixture of both finger picking and full chords and a few seconds later synths are added into the music which leads up to a more heavy doom metal direction which also uses a good amount of melody in the guitar leads and riffs bringing in a post rock vibe to the music. After awhile the music gets more atmospheric and symphonic along with some growls and screams that bring a death and black metal feeling to the music and there is a good mixture of both clean and heavy parts throughout the recording along with both of the tracks being very long and epic in length and the second track shows the music going into a more symphonic musical direction as well as letting the post rock elements kick in a lot more and you can also hear some clean singing being utilized in the track. Of Solitude And Solemn creates some very interesting and epic sounding music with his symphonic mixture of funeral doom metal, post rock and shoegaze as well as adding a great amount of emotion in his musical sound, the production sounds very dark and powerful for being a self released recording while the lyrics cover dark, melancholic and poetic themes. In my opinion Of Solitude And Solemn are a very great sounding mixture of funeral doom metal, post rock and shoegaze and if you are a fan of those musical genres, you should check out this project. RECOMMENDED TRACK "The Wanderer". 8/5 out of 10.